After changing the colors to greens and blues I realized I no longer need the gold curtain rods. 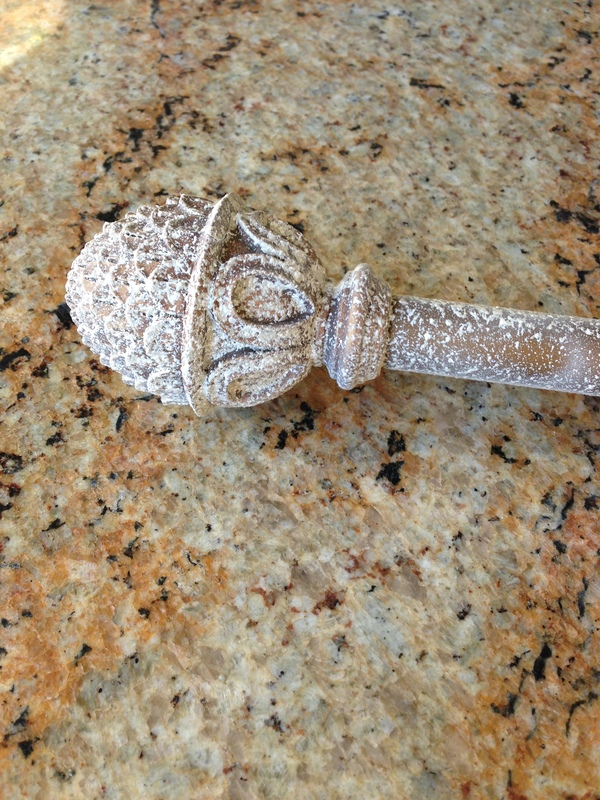 I like the finials on them but gold would no longer cut it! So off to Home Depot I went to find a great color to match my off white furniture. 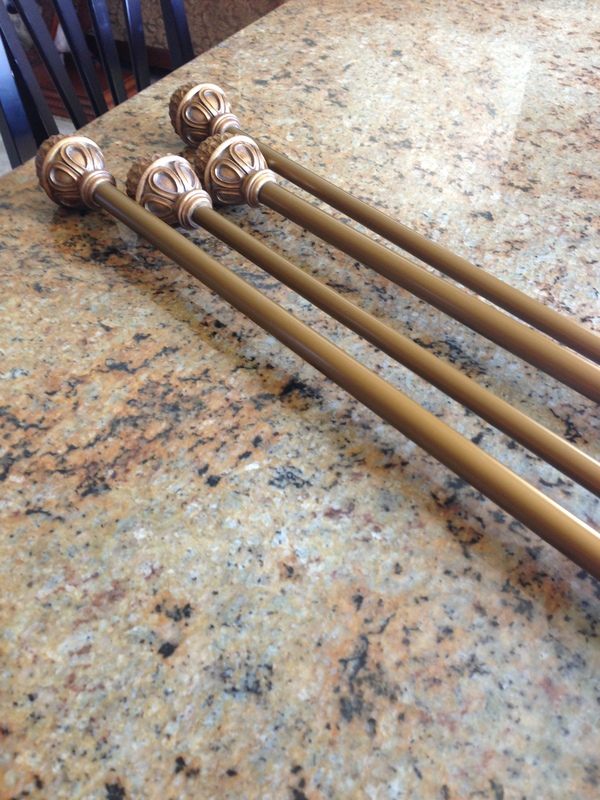 The first step I did was to spray the rods completely with Rust-Oleum American Accents Stone Spray then left them to dry. 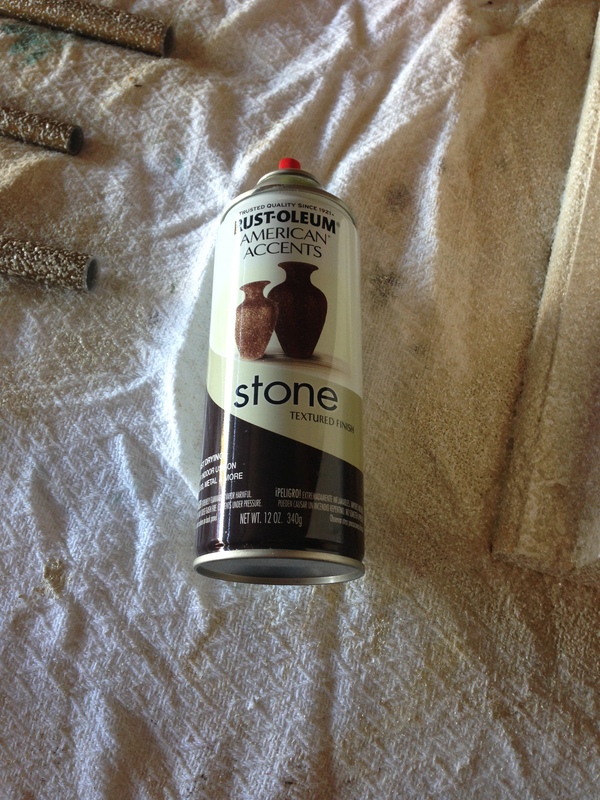 Rust-Oleum says this product creates the natural look and feel of stone! 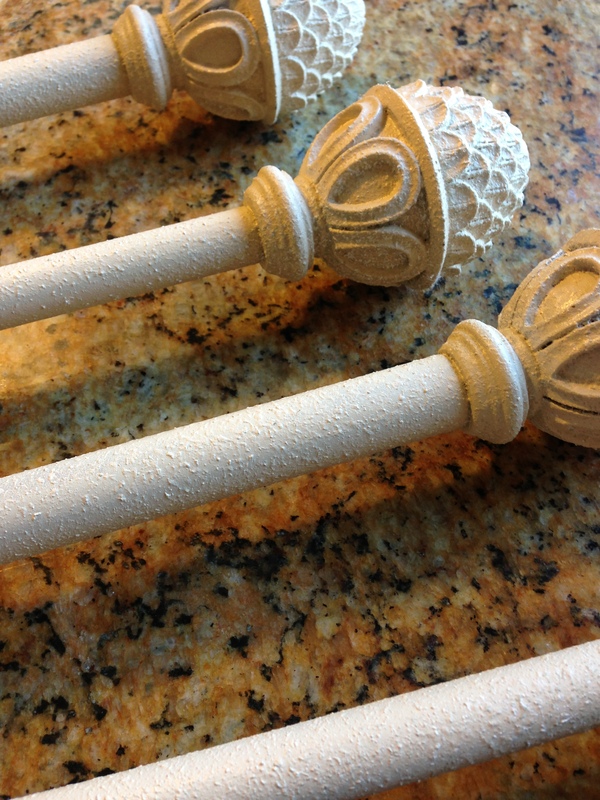 Second, I went back over the rods completely with Rust-Oleum Painters Touch in Satin Ivory Silk and allowed them to dry once again. 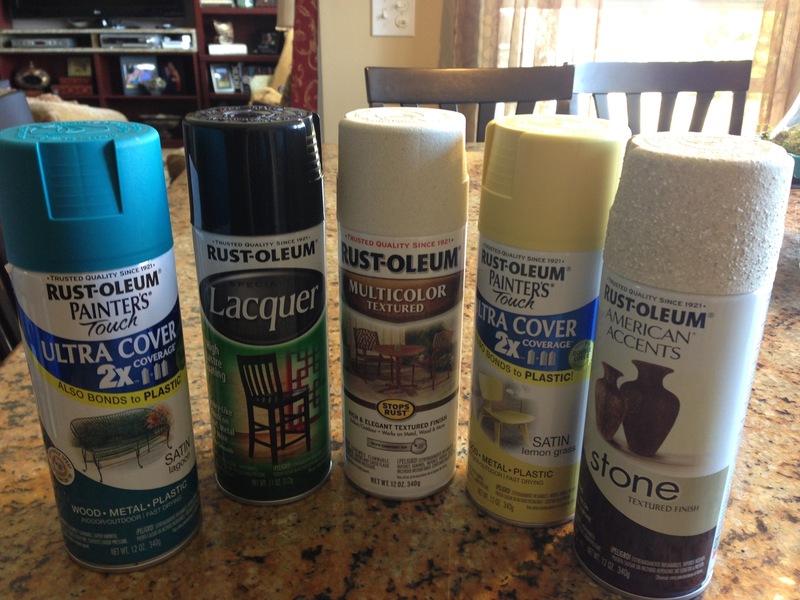 Rust-Oleum says this product provides a smooth, durable finish that lasts longer than ordinary paints! The last step was to apply one last coat of Rust-Oleum Stone Spray that I did in step 1, in order for me to achieve this stone textured effect I was looking for! Aren’t they great! I am so pleased! What do you think? It was fast, easy, and I love the results! I cannot wait to get painting my other projects and show them to you! 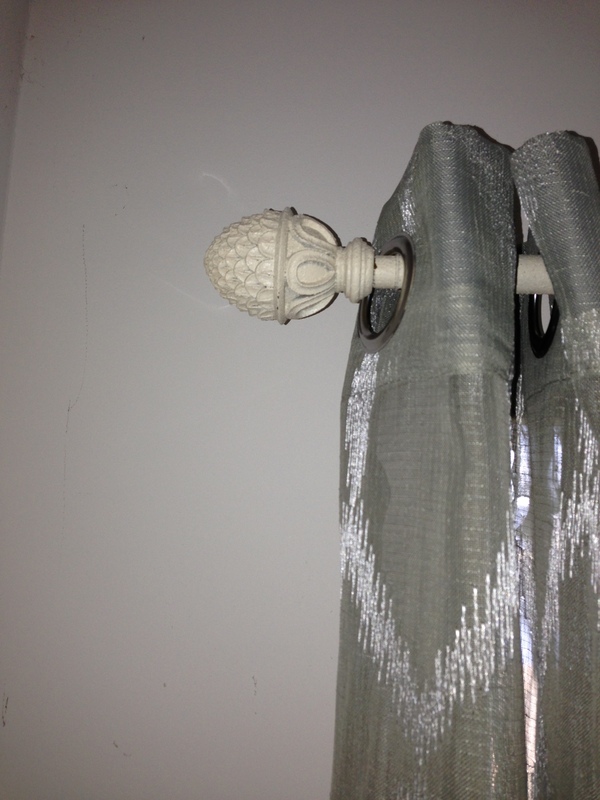 Great idea, it is hard to find curtain rods in off white! Hope you are feeling better and thanks for sharing! Thanks for stopping by. I agree finding curtain rods that match are hard so this worked out great! Yes I am feeling much better, thanks! Thanks for stopping by! It’s great to see someone from SITSgirls! I’m going to stop by and see you as well at your blog! Have a great day! Yes I love how something simple can make a great impact! Thanks for stopping by, I’ll be over to “see” you soon! They turned out great! I love the colors you chose. What a difference. I’m a new follower. Thank you for joining us at Transformed Tuesday this week. I enjoyed hopping over lol thanks so much and thanks for stopping by!